On 25 September 2017, Hong Ngoc General Hospital, in collaboration with Facing the World organization, has offered free examination before malformation surgery for disadvantaged children, bringing them the happiness and hope for a brighter future. 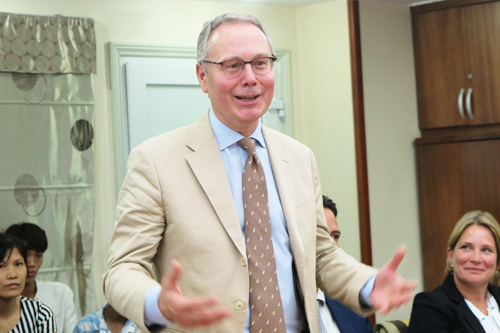 Attending the program this time were 2 main surgeons from UK: Dr. Mehmet Manisali – Member of British Orthopaedic Association and Specialist Orthodontist Lucy Davenport Jones who worked at Facial Surgery Hospital in London and won the William Houston Gold Medal for the best performers. 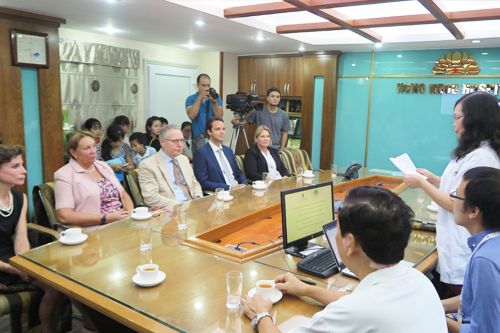 From Hong Ngoc General Hospital, the leaders and Dr. Nguyen Nguyet Nha attended the event. 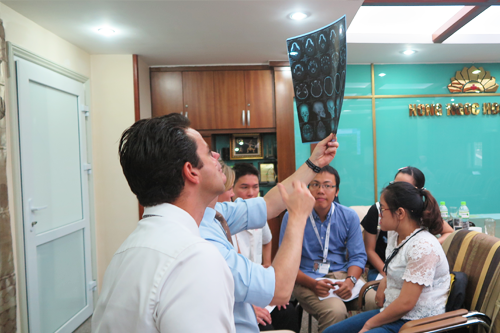 Dr. Nguyen Nguyet Nha was former deputy head of Craniofacial Department at Hanoi National Hospital of Pediatrics and have studied and worked at Craniofacial Center of Changgung Menorial Hospital (Taiwan) and Paris VI Medical University (France). With years of experience, she often performs surgeries for complex cases which require the high level of expertise. 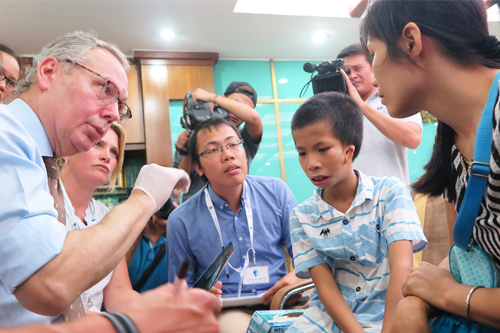 After the opening ceremony, Dr. Nguyen Nguyet Nha and the team of experts from UK examined for the registered children. Each case was carefully diagnosis and instructed with CT scan if necessary. The children who had good conditions of health were offered free surgery. Most of these children are living in poor families in mountainous areas of Tuyen Quang, Ha Giang, and other provinces such as Nam Dinh and Ho Chi Minh City. Their deformities are mainly on their face, making it difficult in daily activities. 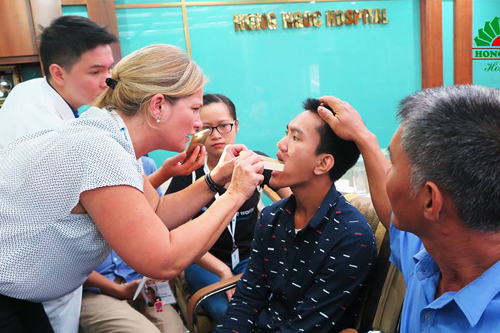 We do hope that with the support of Hong Ngoc General Hospital and Facing the World UK, their lives would be changed in the most positive way, allowing them to hope of a brighter future. The program helps children to overcome their deformities.